Gallant today up 9.38%, interesting. seems like it have risen alot but if we zoom out of the chart, it is just a small move compare to previous downtrend. Looking at weekly chart price above 10ma, we can have an early accumulation now(or when it pull back abit). 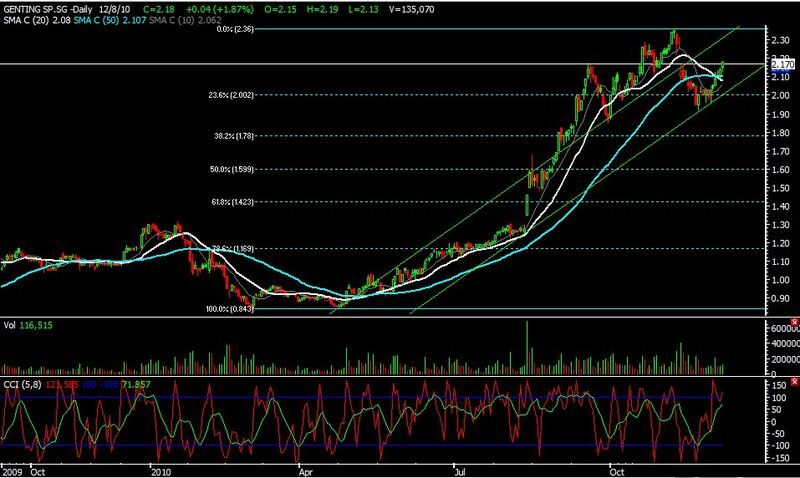 Meaning use 30% fund tikam tikam first, first price target is 0.4(fibo 23.2%), if goes above 0.4.. add on. hrmm~ next resistance is 0.6! Genting! 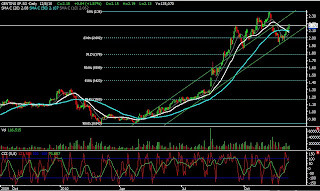 Those local favourite, has resume uptrend after selling down to 23% level reluctantly. This also means that investors are holding strong to this stocks. Resistance will be seen at 2.32, wonder how high it will go if break this resistance. -.-?